Incredible opportunity to live in a nearly 3,000 sf home that spans the entire length of the building on the 39th floor with spectacular, sweeping Central Park and city skyline views from every room. 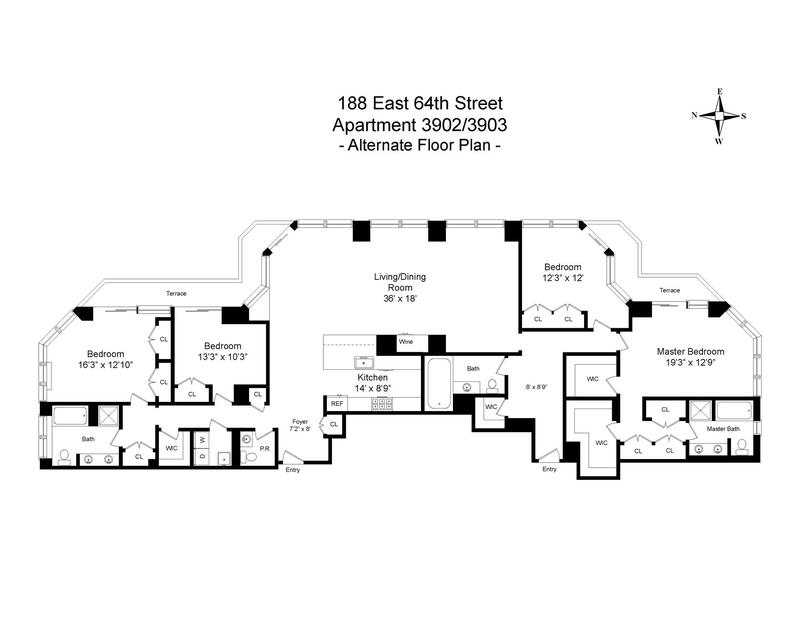 Currently configured as a spacious 3 bed/3.5 bath, this unit can easily be converted to a 4 or 5 bedroom home, see alternate floor plan. Located in The Royale, a 40-story, 205-unit Condominium with only three units on the floor, this gracious home is one not to be missed. Upon entry, one is mesmerized by the large picture windows and open Eastern views. The oversized living/dining room spans close to 50 feet across providing exquisite light throughout. To the South of the home is the master bedroom suite which features two separate full bathrooms, seven outfitted closets and a balcony. Two secondary bedrooms are on the North side of the apartment with another balcony and magnificent Northern views of Central Park and uptown Manhattan. A powder room and laundry room complete the home. The majestic Royale welcomes you through a beautifully landscaped entry garden with a dramatic double height lobby boasting fine-grained marble floors and textured wooden walls. 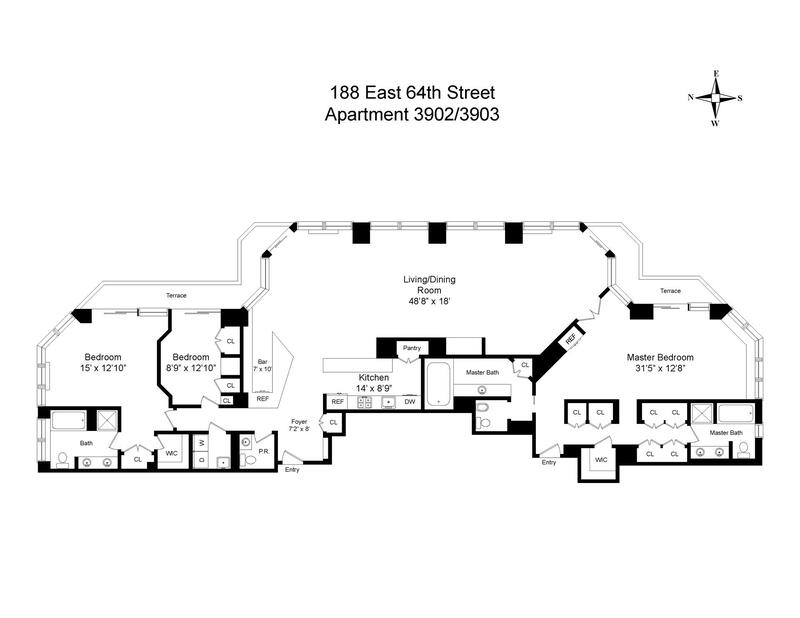 Built in 1985 and situated on a prime Upper East Side block, this luxury building offers an on-site health club, bike storage, individual storage, and adjacent parking garage.